I have been such a huge fan of Victoria Health’s newsletters ever since I discovered the amazing site a few years ago and have grown to look forward to them every month because Gill just writes the best emails. They are like love letters to the skin and I feel like I am hearing from a dear friend, not receiving a mass circulation from a company, but that’s just a small part of what makes Victoria Health so special and you will hear more from me about them very soon. Reading the September newsletter was a revelation and it left me speechless. The Ordinary came as a complete surprise to everyone (me included!) and I couldn’t read Gill’s words fast enough. Despite the name, there is nothing ordinary about what this new skincare concept is doing. This is huge news. What they have effectively done is lift the veil of secrecy surrounding the skincare industry and bravely declared what I, and I’m sure many of you have always suspected, which is that skincare products should not be this expensive. 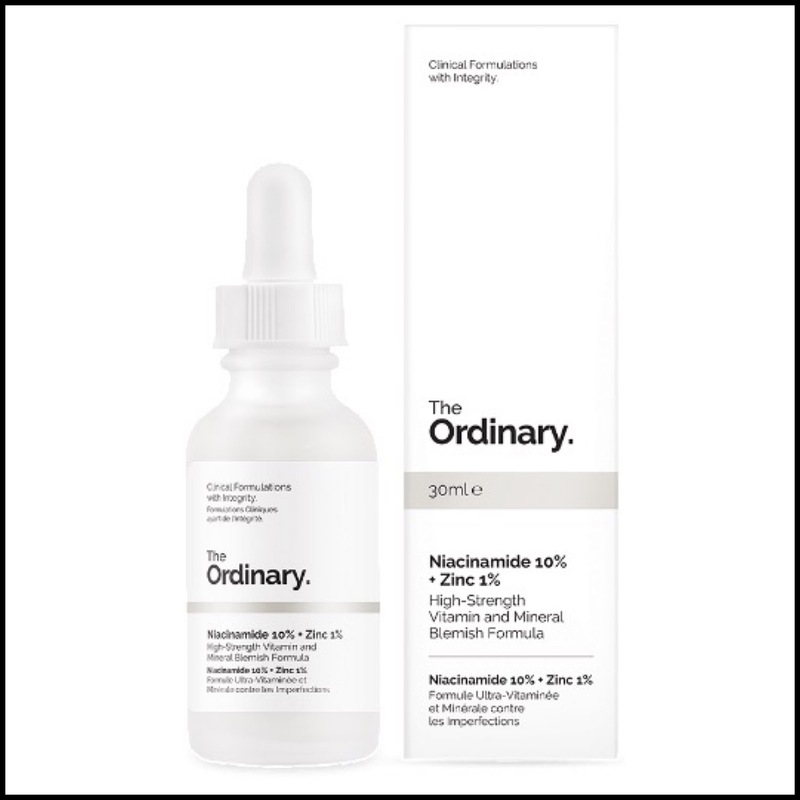 The Ordinary are giving us so-called cutting edge technology (they’re not), at the prices they should be. To see ingredients like retinoid, niacinamide, Vitamin C and Matrixyl being sold at well under £10 each is a skincare revolution. While these ingredients may not be as ground-breaking as many brands make them out to be, they are highly effective and they do provide excellent results, they just don’t need to be sold at such a high price. As many of you will know, I struggled with my skin a few years ago and spent thousands (I am sadly not exaggerating) over a period of two years trying every single product that launched and believing every brand’s claims because I was so desperate. I was naive and vulnerable and believed anything the sales associate told me because I wanted it to be true. I wanted the product to be a miracle cure and to see overnight results, but 99.9% of the time it never happened. My skin didn’t get better until I started educating myself on ingredients, which first led me to the wonderful world of green beauty and then to the specatular world of DECIEM thanks to Victoria Health launching the now legendary CAIS over a year ago now. 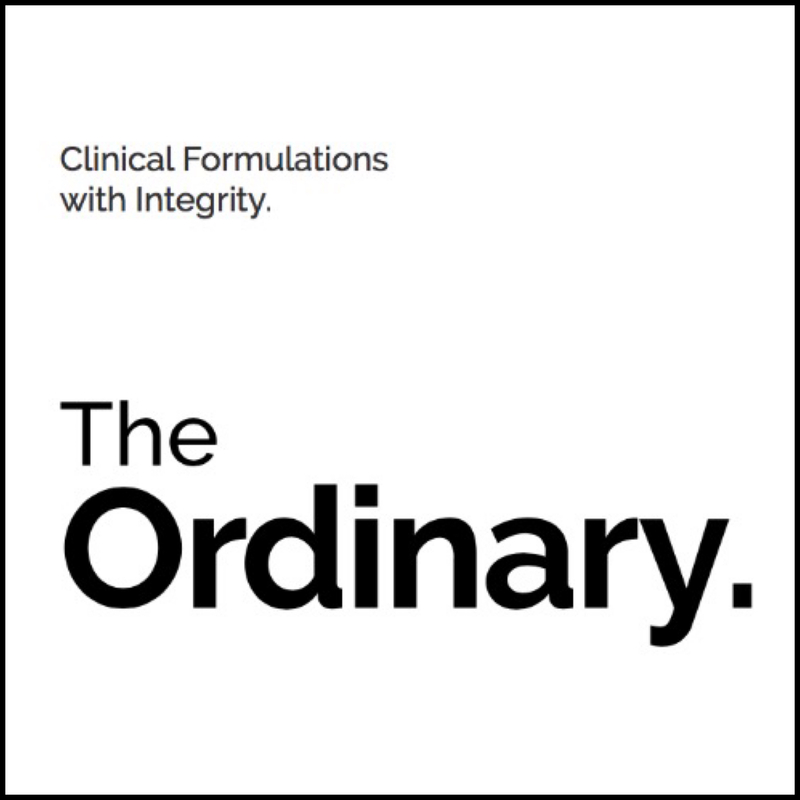 The Ordinary is all about “clinical formulations with integrity” but it is more than that. It is with a kindness, generosity and honesty that is rarely (if ever) seen in the mass market skincare industry and I am eternally grateful for it. DECIEM are doing what should have been done years ago and telling the truth. They are giving us the best tools to achieve the best skin, without trying to rip us off and that’s what makes this launch such a special one. Below is a quick overview of each new product detailing what they do, who they’re for and what popular products they compare to. There is something for everyone and even more to come! Enjoy! 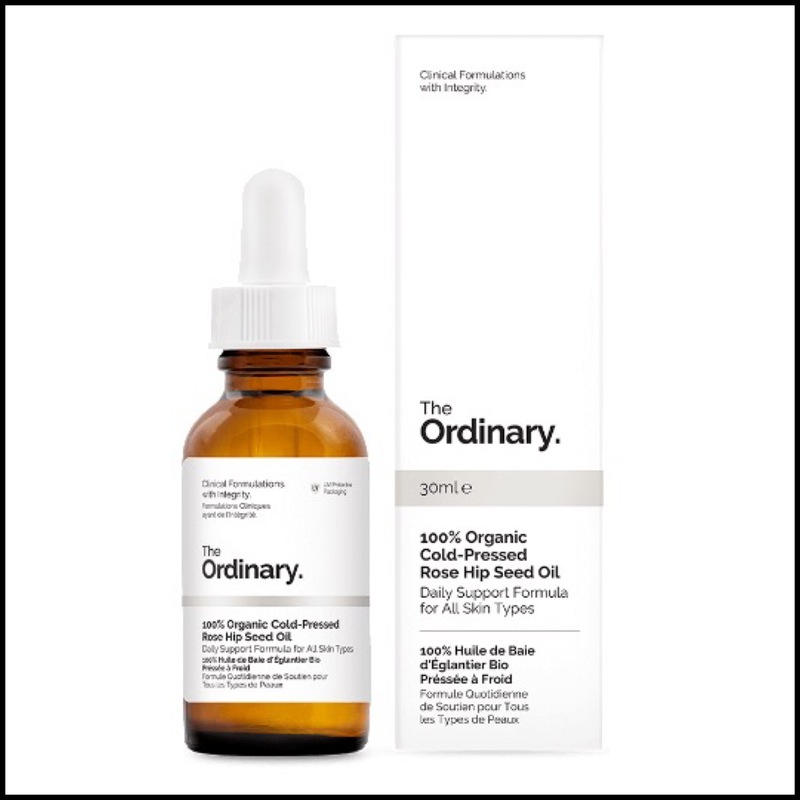 Rosehip has been a favourite oil of mine ever since I discovered the amazing Pai BioRegenerate Oil a few years ago, so this product has made me very happy. I see noticeable results and improvements when using Rosehip because it contains linoleic acid, linolenic acid and pro-vitamin A, all which work to reduce scars, stretch marks, wrinkles, sun damage and even the skin tone. It promotes hydration and encourages skin cells to produce collagen. This is a fantastic ingredient if you have acne prone skin or hyperpigmentation because it will help tackle both as well as promote hydration, fight free radicals and boost the skin’s UV blocking ability. I know our little skincare community is mad for oils and we all have at least 3 or 4 or more, but check and see if any that you have contain this one high on the ingredients list and if not, definitely add it to your stash. As you will know from my Instagram and previous posts, retinol and retinoids are an important part of my skincare routine and I have been obsessed with the VERSO Super Facial Serum for months now. Across the board it seems that retinol products (Sunday Riley, VERSO, Paul’s Choice, Dr. Dennis Gross etc) are generally priced exceptionally high and that’s because they actually work very well, but at the same time, I don’t think the prices are fair or justified and this just proves it. 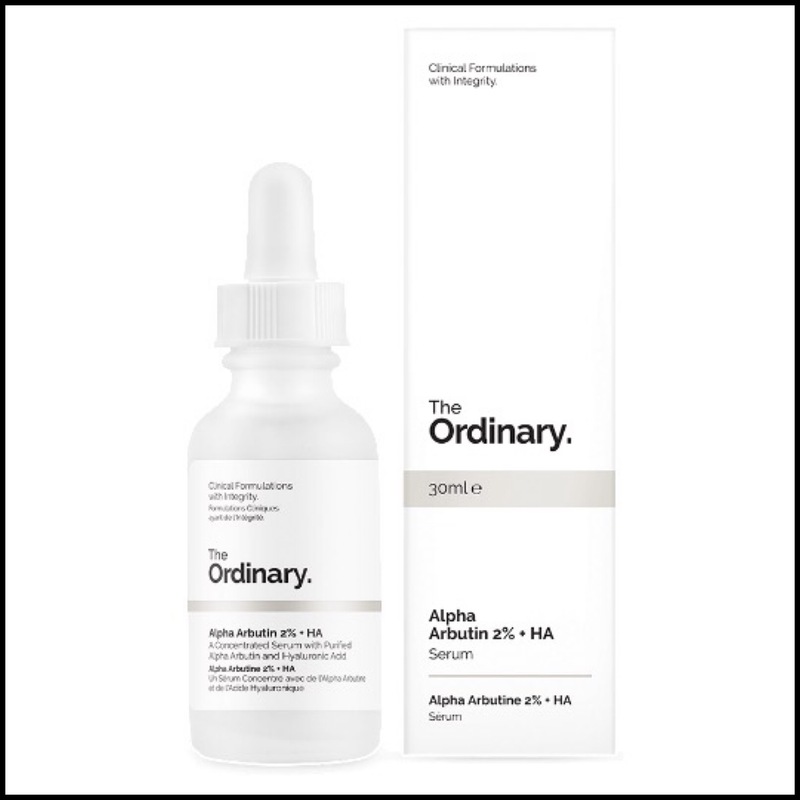 This combines two forms of retinoids for a 2% (in weight) innovative and advanced formula that will deliver better results than any other product out there (to quote Gill). Just for some perspective, this only costs £8, while my beloved VERSO serum costs £95/$120. Of course, the ingredients are not the same but what I’m buying both for is the retinoid and if both are going to give me the same results, why would I spend 10x more than I need to? I’ll be using this once a week to start and I look forward to seeing how my skin reacts. Ingredients: Aqua (Water), Alpha-Arbutin, Polyacrylate Crosspolymer-6, Hydrolyzed Sodium Hyaluronate, Propanediol, PPG-26-Buteth-26, PEG-40 Hydrogenated Castor Oil, Trisodium Ethylenediamine Disuccinate, Ethoxydiglycol, Phenoxyethanol, Chlorphenesin. Arbutin is an excellent but underused ingredient in the western skincare world (it’s very popular in Asian Beauty products), and I believe it’s only present in my Oskia Renaissance Brightlight (high on the inci list) and Sunday Riley Tidal Cream (middle of the inci list). It is amazing for hyperpigmentation because it prevents the formation of melanin by blocking tyrosinase (enzymes in melanocyte cells that cause brown spots). I’m sure it’s one of the main reasons the Oskia serum works so well and I can’t believe it’s not in more products. Considering that tyrosinase are activated any time the skin is in contact with UV rays, now is the perfect time to introduce it in to your routine to reverse any summertime damage you may have developed. Arbutin is very gentle in comparison to other skin lightening ingredients and because this product contains Alpha Arbutin (better than just Arbutin and Beta Arbutin, obviously), you should see great results. I’ll be using this in the morning to protect and repair my skin. 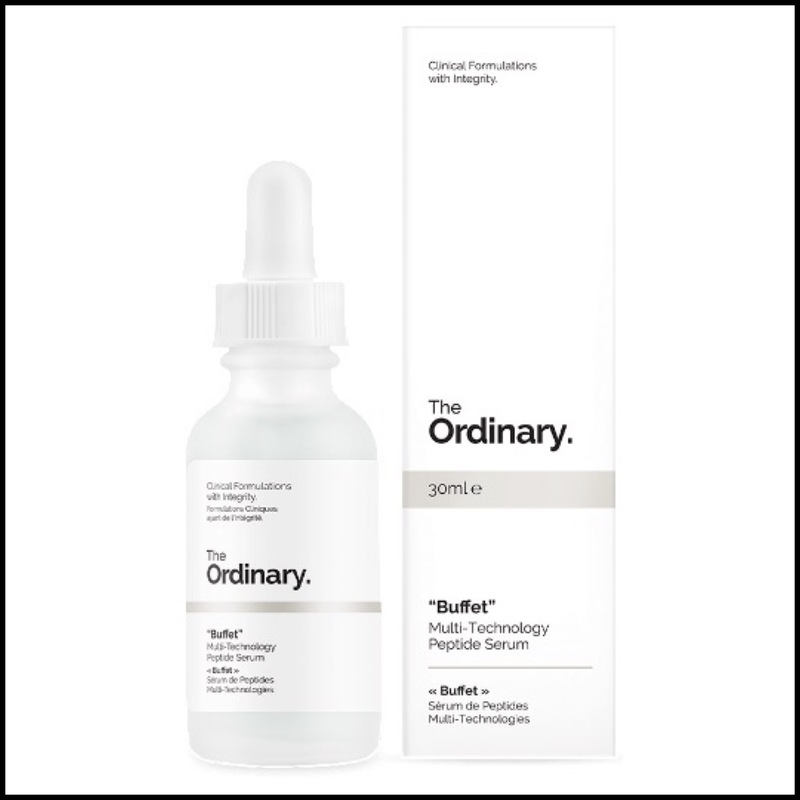 Simply called “Buffet” (a playful dig that you can read about here), this product is a peptide rich powerhouse that combines probiotics, amino acids and hyaluronic acid complexes to address all signs of skin ageing. This is the most complex product in the range, which is why it is so “expensive” compared to the others, but I think it could be great for boosting hydration and skin health, as well as help the other products work even better. I don’t have anything like this, so I’m really excited to incorporate it into my skincare routines. I’ll probably use this in the morning to begin with and then see how it goes. I am such a huge fan of niacinamide and it is one of my all time favourite ingredients. It’s the reason why I love the Oskia serum and why I saw such great results from it. Niacinamide is not only amazing for hyperpigmentation, but it also works really well for blemishes and congestion. This should help balance sebum, brighten skin tone and with the addition of Zinc PCA, condition and heal the skin due to it’s antimicrobial properties. Just like the Retinoid, the price point of this has really blown my mind. The Oskia serum that I have loved for most of this year costs £85 and this is only £5. Let that sink in. Even with the addition of the Arbutin serum, the total cost is only £12. I know that the Oskia serum has a lot more going on with it and has a whole host of incredible ingredients, so there’s really no comparison, but what I love most about it is the niacinamide and the arbutin and again, if I can get the same results for cheaper, why wouldn’t I? The combined price of my VERSO and Oskia serums is over $200. That’s a car payment, groceries for a week or two, a return flight to see family or just money that can be spent on anything else. If your skin can handle niacinamide (I remember a couple of people saying they had a bad reaction to it) then I can’t recommend it enough because I have seen such great results. 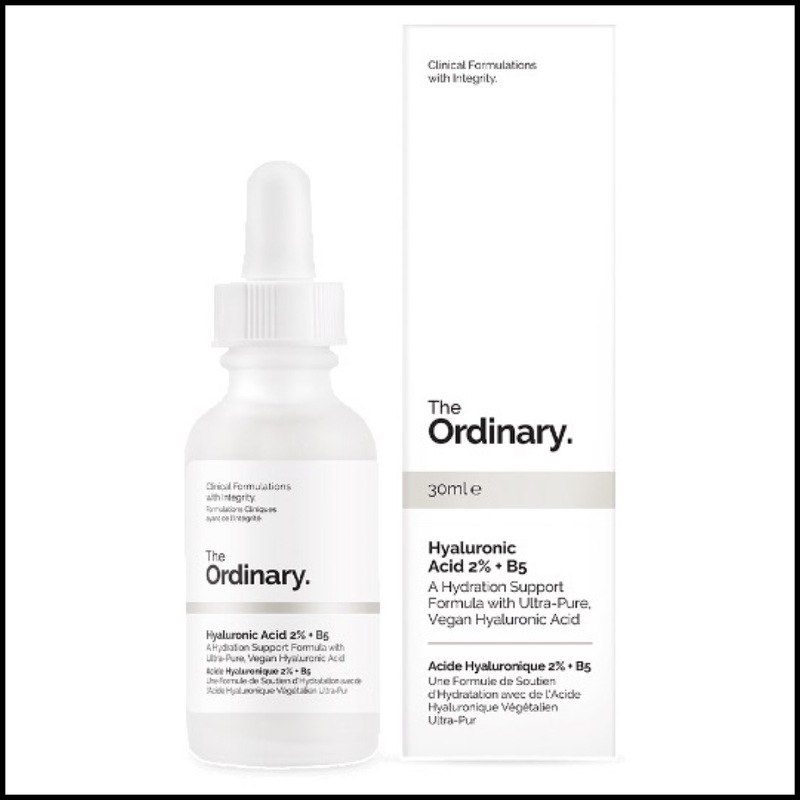 Hyaluronic acid is important for boosting hydration and this one is not only pure, but also vegan. I’m pretty sure we are all familiar with what’s so great about this wonder ingredient thanks to Caroline Hirons, but this one has the addition of B5 to increase surface hydration, meaning your skin should look and feel hydrated from the inside out. It’s 1/5 of the price of the cult Hydraluron and even cheaper than the hyaluronic acid products from Hylamide. This could be a fantastic product for those with dry/dehydrated skin and then even if you have combination skin, give it a go to see if it helps keep your skin balanced. Ingredients: 10% – Aqua (Water), Lactic Acid, Arginine, Potassium Citrate, Glycerin, Triethanolamine, Sodium Hyaluronate Crosspolymer, Tasmannia Lanceolata Fruit/Leaf Extract, Acacia Senegal Gum, Xanthan Gum, Pentylene Glycol, Trisodium Ethylenediamine Disuccinate, PEG-40 Hydrogenated Castor Oil, PPG-26-Buteth-26, Ethylhexylglycerin, 1,2-Hexanediol, Caprylyl Glycol. 5% – Aqua (Water), Lactic Acid, Glycerin, Arginine, Potassium Citrate, Triethanolamine, Sodium Hyaluronate Crosspolymer, Tasmannia Lanceolata Fruit/Leaf Extract, Acacia Senegal Gum, Xanthan Gum, Pentylene Glycol, Trisodium Ethylenediamine Disuccinate, PEG-40 Hydrogenated Castor Oil, PPG-26-Buteth-26, Ethylhexylglycerin, 1,2-Hexanediol, Caprylyl Glycol. 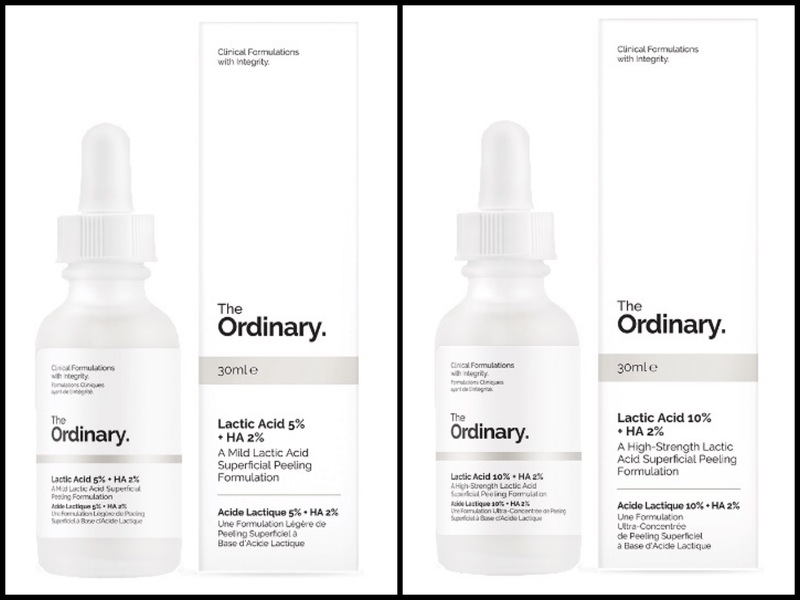 I am so happy that there are two strengths of lactic acid serums because I absolutely love it (wait). Just kidding! Haha! As many of you will know by now, I am allergic to lactic acid and avoid it at all cost, but I know that it has worked incredibly well for a number of you and these will come as a much welcomed addition to a lot of people. Lactic acid is an excellent exfoliant because it’s gentle, hydrating and less irritating (to some) than glycolic or salicylic. For those who love and use Good Genes, the 10% could be a great cheaper alternative and for those interested in adding it to their routines, the 5% would be a great place to start. Both formulas are half the price of Bravura’s much loved Lactic Acid Peel and 20x cheaper than Good Genes. They both contain purified Tasmanian pepperberry to reduce inflammation and sensitivity, which means you should get all the benefits of the lactic acid with none of the side effects. Ingredients: Aqua (Water), Glycerin, Butylene Glycol, Palmitoyl Tripeptide-1, Palmitoyl Tripeptide-7, Palmitoyl Tripeptide-38, Sodium Hyaluronate, Hydroxypropyl Cyclodextrin, PPG-26-Buteth-26, PEG-40 Hydrogenated Castor Oil, Polyacrylamide Crosspolymer-6, Trisodium Ethylenediamine Disuccinate, Carbomer, Polysorbate 20, Ethoxydiglycol, Phenoxyethanol, Chlorphenesin. Matrixyl is a wrinkle busting high-strength peptide developed by the French company Sederma that uses two versions of Matrixyl (3000 and Snythe’6) to combat static and dynamic wrinkles. I’m not at wrinkle age yet but I have heard great things about this ingredient and I know many brands charge high prices for products that contain it. Prices range from around $30 (Derma e) all the way up to $280 for a 3 Lab WW Eye Cream. This should be excellent for older consumers who need something that will be highly effective and may help boost the results of other anti-ageing ingredients. If anyone gets this, please let me know what you think. Ingredients: Ascorbic Acid, C13-15 Alkane, Isodecyl Neopentanoate, Dodecane, Isononyl Isononanoate, Acrylates/Ethylhexyl Acrylate Crosspolymer, Ethylene/Propylene/Styrene Copolymer, Silica Dimethyl Silylate, Ethylhexyl Palmitate, Coco-Caprylate/Caprate, Sodium Hyaluronate, Glucomannan, Butylene/Ethylene/Styrene Copolymer, Bisabolane, Trihydroxystearin, BHT. I have a bit of a love/hate relationship with Vitamin C. When Hylamide first launched their C25 Booster my skin loved it, but after a few months it started to cause breakouts and I couldn’t use it anymore. 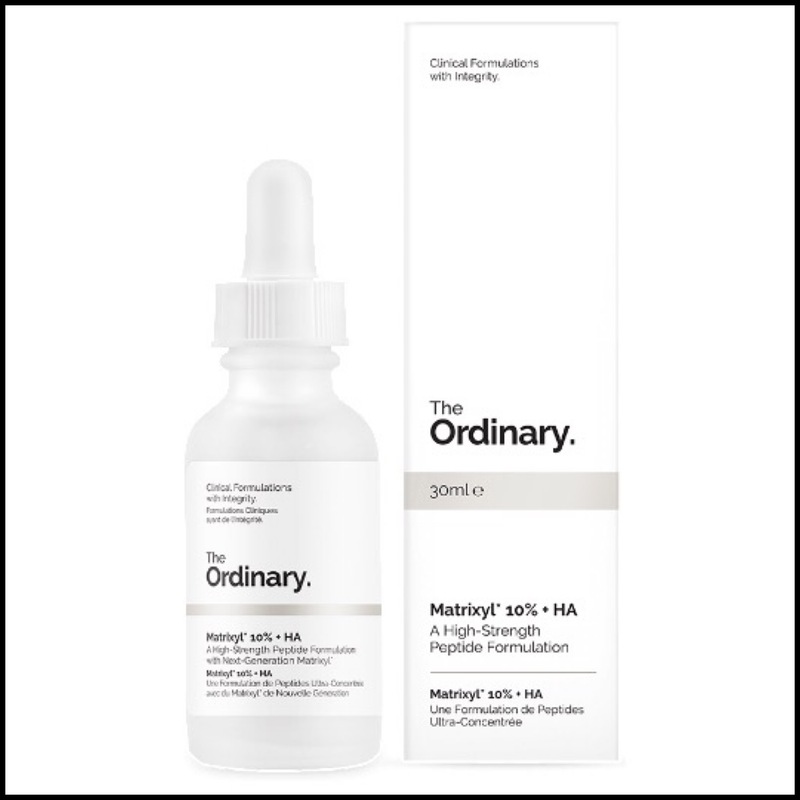 I do want to eventually use it again because it’s such a powerful antioxidant and is highly anti-ageing and skin brightening, and when I do, this is the product I will get. Vitamin C products are shockingly expensive (due to the need to create a stable formula) and range from $48 (Ole Henriksen) to $80 (Drunk Elephant) to $163 (Skinceuticals) and all the way up to a whopping $281 (SkinMedica). For a mere £5, this product is a great way to test the waters and see how your skin reacts without the anxiety of spending a lot of money that may end up going to waste. Of all the current ten new products that have launched I am getting five – the Rosehip Seed Oil, Retinoid, Alpha Arbutin, Niacinamide and Buffet. The first four are ingredients I already know and love and the last one is a product that I’m excited to see what it will do for my skin. I you haven’t signed up for Victoria Health’s newsletter or follow them on Instagram, you really should. I have discovered so many amazing products and brands from them and when it comes to DECIEM, no one writes about them like Gill. She is the ultimate NIOD fan and together with Brandon form the ultimate skincare fairy godparents and I can’t thank them enough for everything they are doing to change the industry. Next > Sarah Chapman Skinesis Eye Tight Treatment Review & Giveaway! The prices really are extraordinary. Wonder if it also the case that as the technology has become widely available the prices have come down (much like flat screen tvs!) which make it possible? Bravo to Deciem. Arly, thank you so much for sharing with us this useful information that has reinforce my decision to buy some of these goodies. The pricing is really unbelievable in comparison with other brands so if these products will deliver the same result, it’ll be really incredible. I cannot make my order yet but thanks to IG and my lovely friend Mariko, will have the Ordinaries soon. YESSSS! Excellent post!!! I love your excitement and passion as you ignite my own! I have signed up to the VH newsletter because I need to read these love letters! Oh how I love your descriptions. Hello! Thanks for such a great post. I’ve purchased several of this line and am very impressed five days in. I bought the Retinol, the Rose oil, the 10% lactic acid, and the Matrixyl. I’m 40 with combination skin and (sadly) some hormanal spots. I’m a regular user of Good Genes and I can confirm will be purchasing the Lactic Acid from The Ordinary in its place from now on. Same near immediate effects. I’m a new user of Matrixyl but am also impressed with this. No visible wrinkles at this stage and would like to keep it this way! I usually use Sunday Riley’s Luna, but again will be using this Retinol from now on. Will also be purchasing the Buffet! I am fairly new the skin care world. Can you share how you use the products (ie what order, frequency, etc?) I would love to try some of these out, but am very over whelmed at the amount of different things to use. I typically just use a moisturizer, but am starting to see fine lines, dark spots, etc. I loved all of this information and I am excited to give some of these a try. I was wondering if you could talk a little bit about the order you would use these in? You talked a little about if you would use them AM or PM, bit more detail on when and in what order would be super helpful. Thank you sooooo much! Thank you for your review! I too love Deciem and am looking to expand my collection. I wanted to ask you about the rosehip oil. I had the Pai rosehip oil and couldn’t take the smell. To me it was a weird mix of metallic/fish oil/herbal that prevented me from enjoying it, and in the end, using it. I know scent perceptions are relative and personal so I won’t even ask you if you find the scent all right, but rather, having used both the Pay and The Ordinary’s rosehip oil, do you find their scents similar? Hello Catalina! So sorry I couldn’t reply to this until now! Interesting question about the oil scents! It’s been ages since I used the Pai one and I don’t remember it being bad at all to me. I get what you’re saying about it and I would have to say The Ordinary one is similar but not as strong. Did you end up trying it? Thank you so much for sharing this really informative post! Today is the first day I started to use the Niacinamide but I’m also waiting for the Hyaluronic acid to arrive in the mail. I’m using the Niacinamide in just the oily t-zone area which is also where theres texture and open pores. Is it normal to feel a slight tightness in the skin? The products sound very exciting and I want to try them. But where to start?? I’m 60 and interested in anti aging products. I’m confused about when to use the products – dbbday or night, the order in which to use them and can or should they all be used together . Thank you for breaking it down! I have been using this skincare line in bits and pieces as it arrives — due to the high demand for product, the company is backlogged, but incredibly wonderful in that they don’t charge extra shipping as the products in your order become available. And what a steal these products are!! I’m impressed with the packaging (most are in dark glass dropper bottles in opaque boxes) and the generous sizing. I have ordered quite a bit and my total order came to about $60 US dollars…INSANE!! LOL — I feel like I’m stealing!! I encourage everyone to give these products a go…you won’t be disappointed!! You are so welcome! I’m so glad you found the post helpful and have been using the products already. How have you been liking them and what did you get? 🙂 Hahaha! I know what you mean about feeling like you’re stealing lol. It seems wrong to be getting so much for so little, but that’s what so great about them. They aren’t trying to rip us off and I appreciate that so much! I am really excited about the lactic acid, I also ordered a few extras for good measure what’s not to love here. We spend a small fortune on products we need up throwing away so this is a very welcome appoach to skincare. I’ve just checked out my shopping cart and suddenly thought about my moisturiser. With a layering of such active ingredients, which moisturiser would you recommend to seal it all in? I’m thinking a very active one might overload the skin? Hi Arly! Nice that you read my message 🙂 Only discovered your blog a few days ago and instantly connected to your content – love the look, the style of your writing and the products you use. I have a thin, dehydrated, ripening skin (38) that’s slightly dry, with blackheads on cheeks and nose. I’ve read a few reviews of yours – Oleosomes off the top of my head. Looking for a day moisturiser (have the SPF & night oil covered for now until my next surge!) Thanks for a super blog! Haha!!! Oopssss! 🙂 It’s hard to pick a favourite from this bunch because they are all so good but definitely the Retinoid serum is amazing and the La Belle Lune oil. I love them both! Discovered your blog last week whilst trying to find reviews on The Ordinary. Love this particular post as I’m finding deciding what to pick from the range is impossible! Question — is there a way to incorporate Advanced Retinoid 2%? Will it be more helpful? Would you also say the Rosehip Seed Oil should be used instead of the 100% plant-derived squalane? And Lactic Acid 10% + HA over the AHA30%? Will using both be too much? 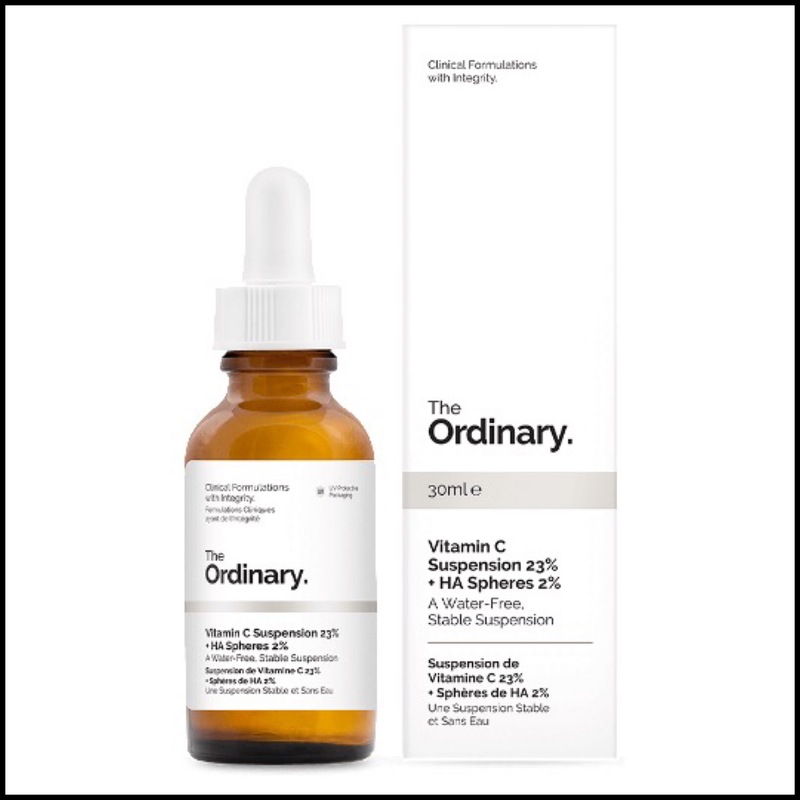 You can incorporate the Retinoid on alternate nights to the Vit C (and the Toning Solution). Also, don’t start off with doing the Toning Solution twice a day, every day if you are new to acid toning. Start slowly with everything, follow the instructions and track how your skin reacts. I would definitely recommend the Rosehip over the Squalane for you and yes, don’t use too many acids. Stick to the weekly peel and then 2-3 times a week with the Toning Solution and go from there. I have extremely troublesome skin – mostly oily and severely acne prone, but also dry in places. I had a severe breakout during the second half of last year till January 2017, when I had to take oral medication to stop the acne. I’ve struggled with acne all my life but this breakout was the worst and most damaging to my skin (I have a lot of hyperpigmentation, and skin discolouration due to sun damage). I have been using a witch hazel toner and a vitamin c + retinol serum since April and my skin is exponentially better. I’m now looking for better solutions came across The Ordinary. I loved both your reviews and I’m almost placing my order! I looked up the regimen guide on their website for pigmentation and intend to follow that, alternating the Advanced Retinoid 2% and Vitamin C Suspension 23% + HA Spheres 2%. I wish to continue using the witch hazel toner as that really suits my skin. Do you think combing all those products is a good idea? Just want to be sure before I place my order!